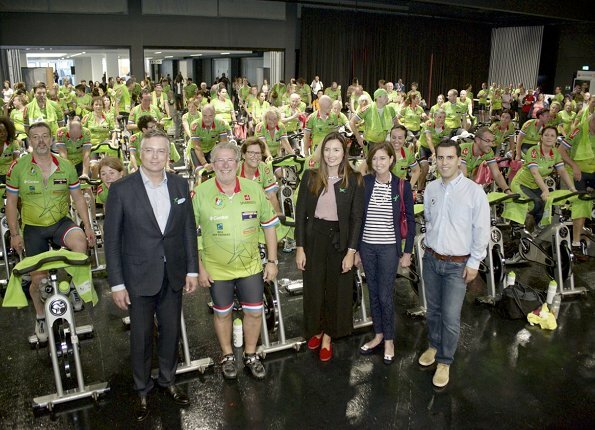 Princess Claire of Luxembourg attended the Indoor Cycling Marathon organized by Luxembourg-Transplant et Eurotransplant at the Luxexpo The Box, on the occasion of the World Day of Organ Donation and Transplantation. 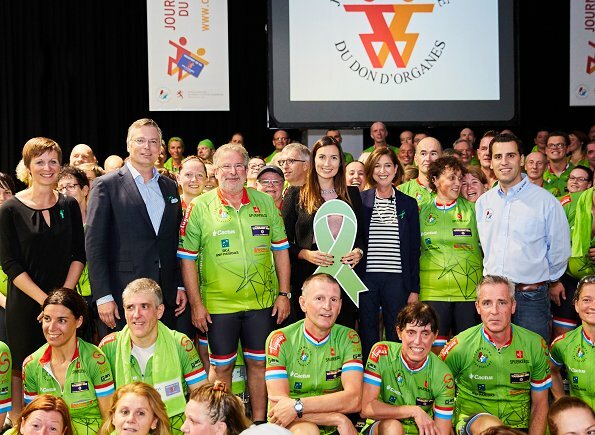 The event was held to raise awareness for the Organ Transplant in Luxembourg. What a ugly pants and shoes. Agree. The shoes look like sleepers. I really like her outfit! Fits her and is not mainstream. 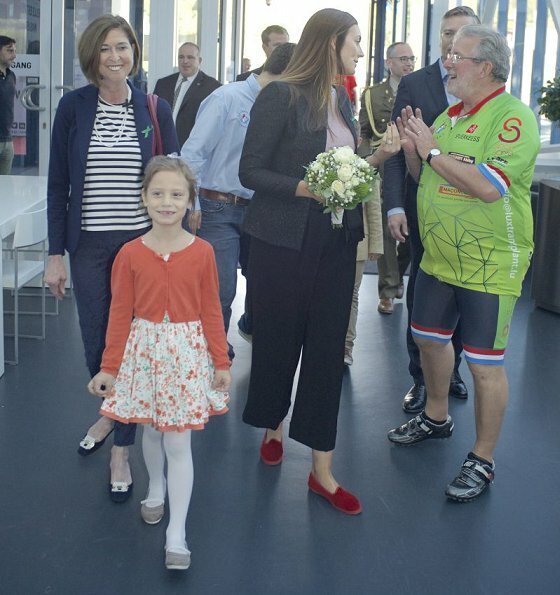 Glad to see Princess Claire at this event. Not a fan of the pants or shoes. 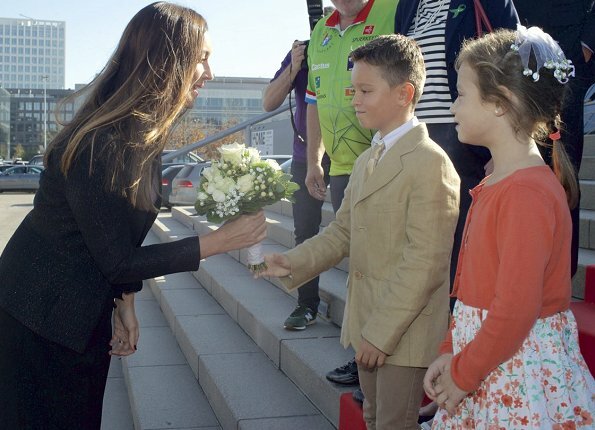 Again, the newer royals need to present a public-ready appearance. This woman is a giant! Taller than most men - in flats!